Although it would seem that buccaneers are simply one type of pirate–and they are–the term actually has a number of connotations. This is particularly important when considering the legal status of buccaneers and pirates, as we cover in this comparison article. The first recorded accounts of piracy date back over 3,000 years, although the actual term is relatively new, and has since taken on many new meanings and connotations. The word in its most commonly inferred meaning was first used in 140 BC by Polybius, a historian from Rome. 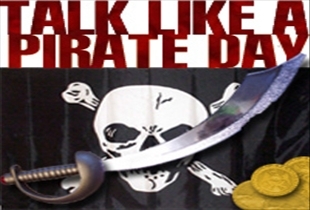 The term was more clearly defined by Greek historian Plutarch in 100 A.D., who referred to pirates as criminals that attacked ships as well as maritime cities. The word was also used in reference to "sea thieves" in medieval England. 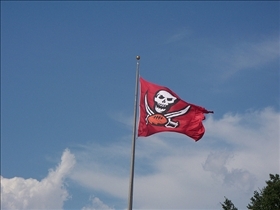 The term “buccaneer” originally referred to the hunters from the island of Hispaniola in the Caribbean. The word comes from the boucans that were used to smoke meat from animals. Most were fierce men who obeyed no law, and where armed with muskets, knives, and even swords. They where eventually driven off by Spanish troops, and this sparked the traditional buccaneer hatred of the Spanish. According to the definition of the word "pirate" that is most closely tied to the present definition, pirates were "outlaws" that could be killed by anyone, even civilians. Some of the first international laws passed actually pertained to anti-pirate legislation, since most acts of piracy where and are committed outside the legal jurisdictions of any country. Most buccaneers actually straddle the line between pirates and privateers. In fact, many thought themselves privateers, and carried out their activities with a letter of marque granted by British or French officials. Nevertheless, pillage of the most brutal sort was the norm, regardless of the possession of a letter of marque, and Spanish settlements were particularly subjected to vicious attacks. It is interesting to note that many pirate crews actually adopted democratic practices to some extent. For instance, many communities instituted a system of checks and balances in decision-making, some methods of which are still employed by the governments of the United States and several other countries. More interesting still, pirates injured in the line of "duty" often received compensation akin to the medical or disability insurance that a modern day employee might receive. Buccaneers adopted democratic practices as well. For instance, the bounty from a raid was divided equally among the crew, with the captain receiving a certain amount for the use of his ship, plus varying shares of the prize money. Buccaneer generally did not receive wages, and instead worked for a share of the plunder. Which type of thief is worse?